Audio over IP (AoIP) has become a hot topic in recent years – and for a good reason. While it is still a relatively new area for many audio professionals, it has come to stay, and looking a few years down the road, it will most likely have become the norm rather than the exception. There are a number of different AoIP protocols around. We have chosen to support Audinate’s Dante and will focus exclusively on their protocol in this article. This is by no means meant as an effort to take you through the in-depth details of Dante. Rather, it aims at answering a handful of the most common questions that audio professionals have when it comes to AoIP. 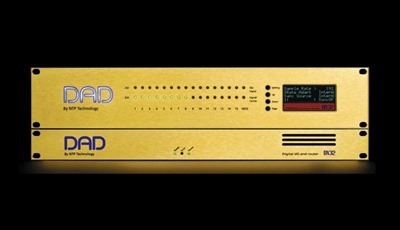 Dante is simply a bit-for-bit audio transportation system that utilizes standard Ethernet equipment to physically connect devices on a network. 2) Does Dante Affect My Audio Quality? No, since it is ‘only’ a digital transportation system, not even a single bit is altered – hence there is absolutely no change in audio quality, as it is being distributed between devices on the network. 3) What About Bandwidth. How Many Channels Can I Use with Dante? In theory, you can add as many audio channels to a Dante network as you want. It’s merely a matter of adding more interface devices and Ethernet switches. But to give you an idea of the capacity, please consider the following: 64 audio channels in 24 bit / 48 kHz takes up only 74 mbit/sec on a single network port. On a Gigabit network, these 64 audio channels only take up 1/8 of the bandwidth on a port. In other words, you could run up to 512 bidirectional audio channels at 24 bit/48kHz on one port – and way more on the entire network. 4) How long can my Ethernet Cables Be? 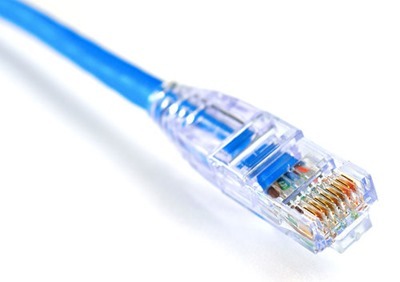 You have to use Gigabit-rated cables, which means either CAT5E or CAT6 cables. These are standard cables that are also used for transmitting other types of data, including the words you are currently reading and if you should decide to send these words to a printer. In a Dante system, you can run these cables up to 100 meters between each switch in your combined network. Should you need to go even farther than that, you certainly can – you just need to make your connections through fiber. Then your distance is not to be measured in meters, but kilometers or miles. 5) What About Latency Issues? With potentially super long cable runs, how does that affect latency on the network? Well, in so many words, latency is not really an issue. 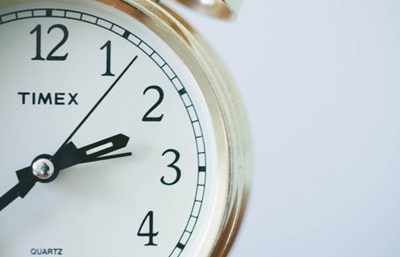 Sure, latency is always present – as it is in your current setup. But using Dante chances are actually that you will be far better off. As default, there is a latency of 1ms on a Dante network – even when you run 100 meter cables between your switches. And further, this applies to up to 10 switch hops. To make it even better, if you need to fine-tune the latency, you can adjust from 150 microseconds to 5 ms on a per-device basis, while keeping in mind that ultra-low settings may also affect overall performance. Combining digital devices has always required a master word clock to keep everything synchronized, and this is also the case on a Dante network. However, Audinate came up with an ingenious and fully automated solution, as Dante simply hosts an ‘election’ among the devices on the network and chooses the one with the best clocking to be the master that the other units synchronize to, virtually making jitter a problem of the past. 7) Can I Daisy Chain Devices? Yes, you can, but it is recommended that you don’t. One of the major advantages of an AoIP network is that you can break with the traditional mindset of connecting analog devices in series. Audinate recommends that you design your Dante network, using a ‘Star’ topology. What this means is that you use an Ethernet switch as the centerpiece and connect, say, 4 devices to it. Now, you can freely distribute audio channels to and from any of these devices – and if one should fail, or stop working altogether, you don’t break the signal chain, as the remaining devices will still be fully functional and able to send and receive audio streams on the network. If you need more devices, simply add another star formation and use a master switch to connect each star formation. It's highly modular and in theory it’s also limitless. 8) How Complex Is It to Configure a Dante Network? As you would expect, this depends on how complex a system you want to create. If you have just one Dante-enables device, such as a DAD AX32, that you want to connect to your computer, this is fairly straightforward. If you need to build a Dante infrastructure across a whole building – or several buildings for that matter – it will of course get more complex. Yes, each of your devices needs a unique IP address, but in most cases the one it is being given automatically is perfectly fine. And if your network is used exclusively for AoIP – not sharing with the web, IP phones, printer connections, etc. – you can use so-called unmanaged switches that are simply plug and play devices. Just like a USB hub that you can connect to without any further configuration tasks to be carried out. And here is a term that may be new to you in an audio context: Discovery. On a Dante network, whenever a new device is being connected, it needs to be discovered by the system, but again, within a Dante eco system, this happens automatically. Once you connect a device, it will automatically appear in the Dante control software, and it will appear with a name that is easily recognizable – not juts a number such as an IP or MAC address. 9) What Happen in Case of Power Failure? Nothing. Whether you need to power everything down due to moving facilities, or if it happens in an uncontrolled manner, all of the information you have in your particular Dante system is stored within each device. Not on a computer as part of a piece of control software. Therefore, as soon as you get the power back, all devices instantly re-establishes to its state prior to the power-down. 10) What is Dante Virtual Soundcard? 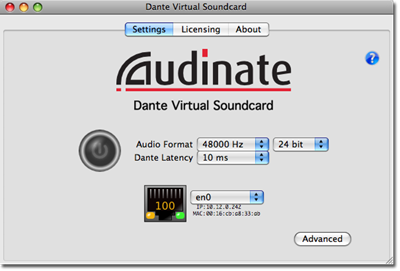 Audinate’s Dante Virtual Soundcard (DVS) is a piece of software that turns your computer into, well, a virtual soundcard on your Dante network. You can record and playback from 2x2 to 64x64 audio channels, using any DAW. On a PC, DVS simply appears as an ASIO or WDM driver and on a Mac it appears as a CoreAudio device. We hope to have covered and clarified a couple of the basic AoIP questions that you may have had about this topic. We understand that it can be a major leap to make such an infrastructure change in your production facilities, but as mentioned above, we do believe that AoIP will become the norm within the foreseeable future. And once you get to investigate a little further and learn more details about the technology and various protocols, chances are that you will find the benefits outweigh the challenge of having to redesign your studio. In any case, whether you work on a Dante network or not, AX32 is the ideal audio-routing, AD/DA conversion, format conversion and monitor control solution. With an internal audio channel matrix capable of handling up to 1,500x1,500 channels you can set up any number of simple and/or complex workflows – and swap between them in seconds. Oh, and most importantly, this helps you save production time and meeting critical deadlines.